Saturday was one of those memorable days…I attended the Horn Book at Simmons Conference, and because the speakers were all recipients of the Boston Globe-Horn Book Awards, the list of speakers was an embarrassment of riches: Rebecca Stead, Helen Oxenbury, John Burningham, Elizabeth Partridge, Peter Sis, and Megan Whalen Turner among others. At one point, I was talking with English author and illustrator John Burningham, and I felt that it was one of life’s perfect moments. Burningham’s new book, It’s a Secret! 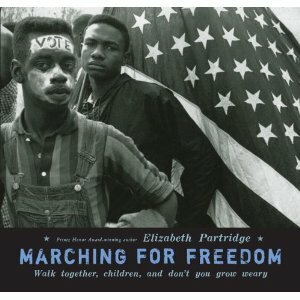 was one of the 2010 Honor Books. If you haven’t seen it, check it out. It’s a magical adventure about Marie-Elaine, a girl who wonders where Malcom, her cat, goes at night. Marie-Elaine gets Malcom’s permission to join him, and they go to a magical party where she meets the Queen of Cats. I’m a big fan of Burningham’s many picture books, especially Harvey Slumfenburger’s Christmas Present. That book has maybe the best “last page” in children’s literature. She went on to say that When You Reach Me was a way for her to talk about her relationship with books and reading. It just made me love her book more than I already did. The three books featured today were easy to choose because they are the winners of the 2010 Boston Globe- Horn Book Awards, honoring excellence in children’s literature. The award is given in three categories: Fiction and Poetry, Nonfiction, and Picture Book. I just checked the date. 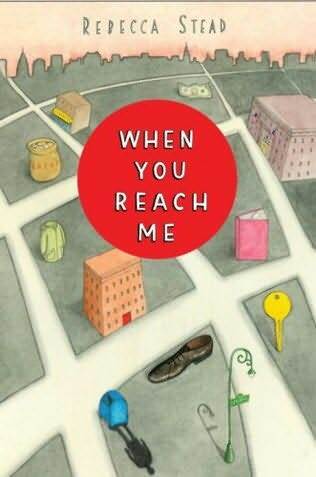 It was on August 4 that I e-mailed several of my favorite readers to suggest that they read When You Reach Me by Rebecca Stead. And today it won the Newbery Medal! I am very happy and not one bit surprised. As I said to my friends way back in August, Stead’s book is hard to describe. It’s a mystery. It’s realistic. It has an element of the fantastic—see what I mean? Hard to pigeonhole. But now no book seller has to decide where to shelve it. It goes on the shelf for Newbery winners!